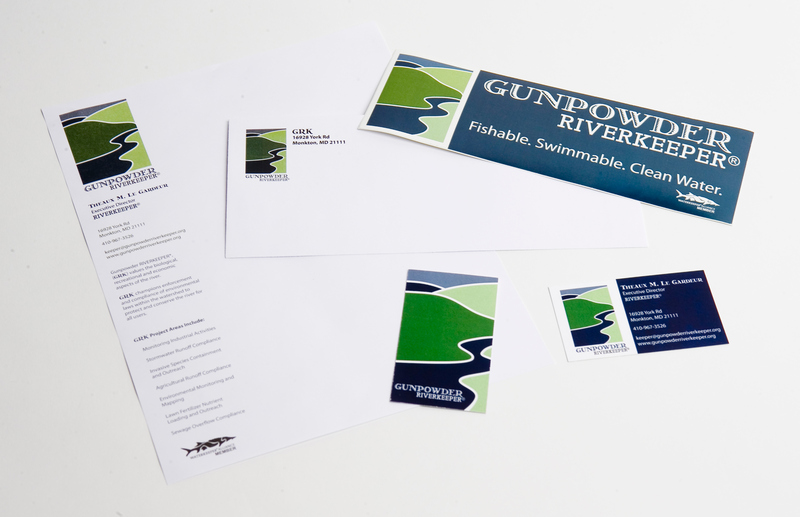 Logo and stationery for Gunpowder Riverkeeper. Logo design and stationery collateral for Gunpowder Riverkeeper, a non-profit organization charged with protecting, conserving and restoring the Gunpowder River and its Watershed. This particular body of water consists of two resevoirs, it was important to represent that for the client.